The massacre at a country music festival in Las Vegas on Sunday was especially deadly because the shooter positioned himself high above the crowd he was targeting, according to an NBC News law enforcement expert. 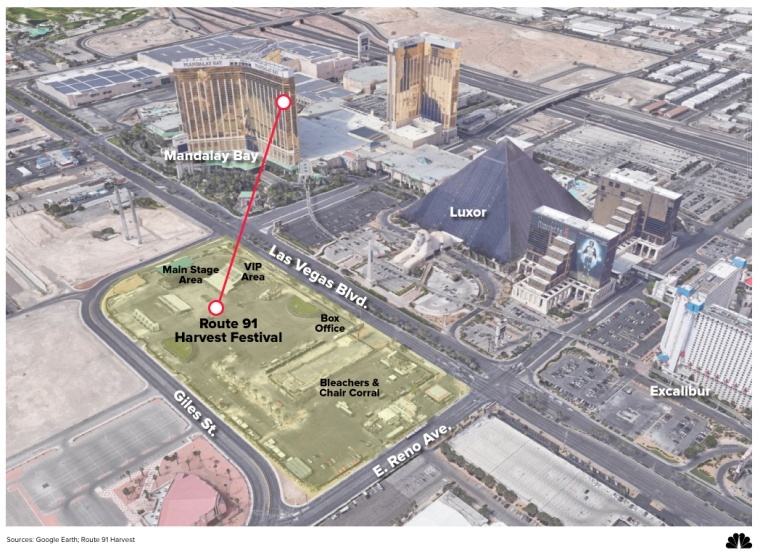 The gunman's spot on the 32nd floor of Mandalay Bay Resort and Casino gave him an unobstructed and protected view of thousands at the Route 91 Harvest festival at Las Vegas Village, and was effectively a sniper's perch, according to MSBNC law enforcement analyst Jim Cavanaugh, a retired special agent with the federal the Bureau of Alcohol, Tobacco, Firearms and Explosives (ATF). "Shooting from such an elevated position into such a dense crowd, one would expect this carnage," he said. At least 59 people were killed when Stephen Paddock, 64, opened fire into a crowd of about 22,000 at the outdoor festival, police said. More than 500 other people were wounded, they added. Authorities believe Paddock killed himself before police entered his room. In the aftermath,police told reporters that the gunman shot multiple rounds virtually uninterrupted. Witnesses said they heard shots that appeared to be firecrackers, followed by what sounded like a machine gun. The intense gunfire caused many people to drop to the ground and scramble for cover amid chaos and confusion about where the shots were coming from. "It sounded like it was coming from the sky above," Megan Kearney, who managed to escape the scene with her two sisters, told MSNBC. What still isn't known what kind of weapon Paddock used. Officials said that 23 weapons were recovered from his hotel room and that 19 more were found at his home. Cavanaugh said it likely was a submachine gun fired from a position very high up in the hotel that allowed the attacker to "rain down death," he said. A submachine gun is a handheld, magazine-fed weapon that fires more than one bullet with a single pull of the trigger. Submachine guns previously had to be registered with ATF, but since 1986, a federal law prohibits the sale or transfer of newly manufactured weapons to civilians. On the state level, Nevada has fairly lax gun laws. No state permit is required to purchase or possess a rifle, shotgun or handgun. There is no gun registration, and state law doesn't prohibit the open carrying of a firearm. Clark County Sheriff Joe Lombardo, who also oversees the Las Vegas police, later characterized ammunition recovered from the scene as .308 caliber to .223 caliber. 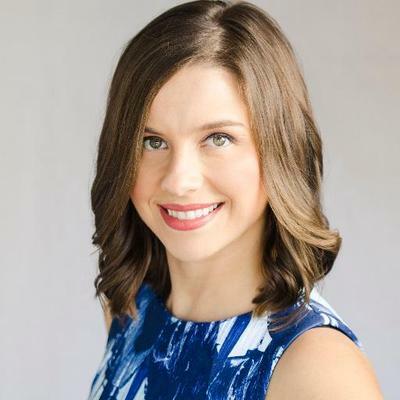 Such rounds are used in larger weapons — .223-caliber rounds typically are associated with AR-15-style semiautomatic rifles, while .308-caliber rounds typically are associated with big-game hunting rifles. As to the people running for their lives on the ground, there was not much they could do to protect themselves in an open field. "They did what they could and ran to any cover or concealment," Cavanaugh said. Former New York City Police Commissioner Bill Bratton told MSNBC that the fact that the gunman fired his rounds from the hotel indicated a degree of planning, especially his "getting a room that would be facing the venue, if that, in fact, was to be his target." "The weaponry, quite obviously, was capable of traversing the distance of what has been described as about 300 yards, which would indicate a military-style weapon," he said. Our condolences go out to the families who lost loved ones tonight. Thoughts and prayers are with all of those affected by this tragedy.